“First Skin” is an experimental video on the subject of pacifism. It asks a mix of choreographers, artists, a philosopher, a personal trainer and a cook how they think dance and cinema can reflect themes of war imagery. Margie Medlin commissioned as part of the Dance Archive Box project, Singapore International Arts Festival, 2015 responds to Mikuni Yanaihara’s dance theatre performance about changes to the Article 9, the pacifist article introduced into the Japanese constitution at the end of the second world. 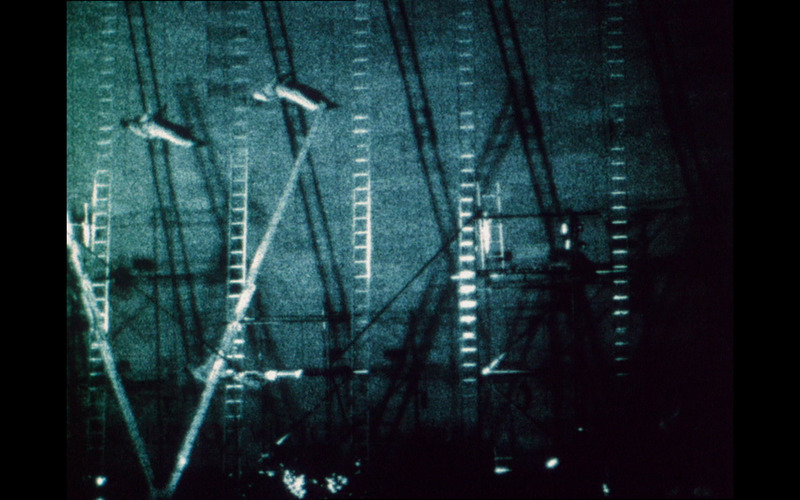 Made for the cinema, the video could be described as a radio play. Using the disembodied costumes from the original performance, passages of blackness layered with documentary voices create embody histories, story and opinion while abstract images fade in and out to personify the audience’s attention. 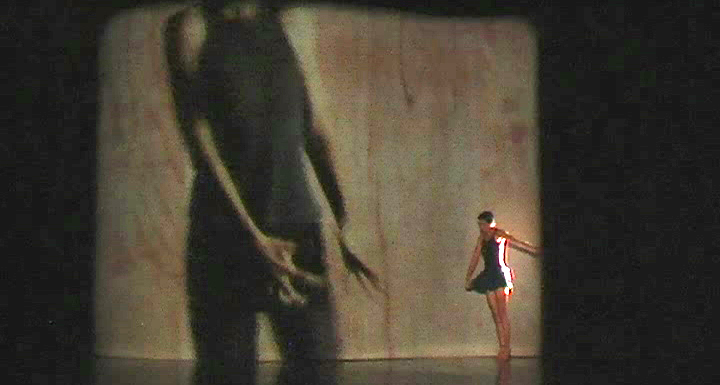 A real-time duet between a dancer and a robot camera, Choreography Lea Anderson, Robot camera designed by Gerald Thompson. Morphing Physiology traces the research, development, performance and evaluation of the Quartet Project, a science and art project that premiered at The Great Hall at St Bartholomew’s Hospital, London, February 2007. The documentary follows the development of two real-time performance systems and focuses on the project’s aspirations: to visualize sound, to play with the notion of what a dancer’s point of view is and to create tools that are inspiring for choreographers and dancers. It reveals how the collaborative process and the team shape the outcome of this interdisciplinary project. Humorous, elegant and startlingly original SWIFT is a kaleidoscope of fanciful characterisations, choreography and music. This film exposes complex physical, psychological and emotional states experienced by the female protagonist: the solo dancer transforms from the red runner, the quiet singer, the silent dancer, the diva, the gremlin, the innocent realist, the maturing woman and the aging woman who remains eternally youthful. An aerial dance performed by Danceworks on the wall at the Art Gallery of Victoria in the Melbourne Festival of the Arts 1991. Set in an old power station once alive with the whirr and hum of electrical generators, this cavernous space offers a haunting setting for a dance film about memory and loss, presence and absence. 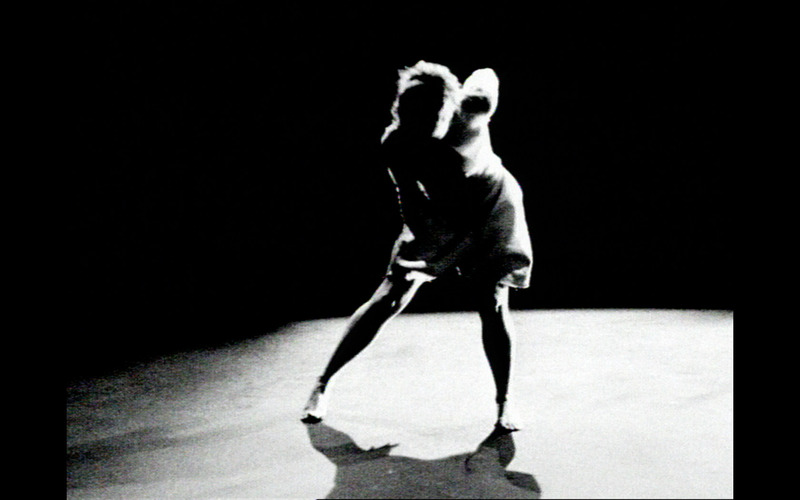 Choreographer: Sandra Parker, Cinematographer: Sion Michel. The film depicts four women moving through a spatial and poetic journey. Visceral and visual, the film interchanges the eye of the dancer with the eye of the camera, creating an evocative, intimate and sensual journey, travelling through the eye to the heart. 1996 90% YIELD BEFORE BREAKAGE, 3 MIN 16 MM. This work was made in collaboration with desoxy Theatre. The stage, itself a blank darkness, is constantly altered by the throw of bodies falling up from the floor or across from the sides. We are not aware of any reference point that alludes to a conventional sense of gravity. 1994 W.W.M.C. *. * , 3 MIN 16 MM B/W FILM. 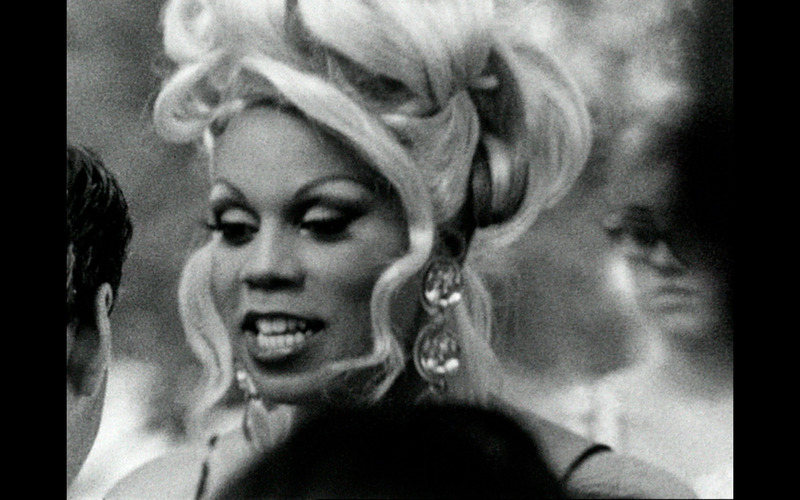 The film is a fast moving tour through three distinct cultural celebrations: Wigstock Festival N.Y.C., the Festival of the Day of the Dead, Mexico, and shopping in the south of France. 1994 BEHAVIOUR, 12 MIN VIDEO. A live solo performance in which dancer-choreographer Shelley Lasica incorporates her own mannerisms as a dancer with the mannerisms of the audience. The video looks at both her and the audience with a similar concentration. Funded by The Australian Film Commission, The Women’s film fund & The Creative Development fund.